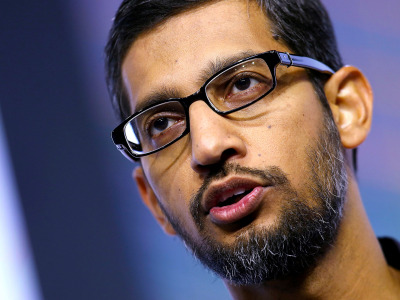 Foto: Getty Google CEO Sundar Pichai. The announcement follows an en-masse employee walkoout earlier this month that saw nearly 20,000 workers protest Google’s past handling of sexual assault and harassment. Google said on Thursday it was ending forced arbitration for employees in cases of sexual assault and harassment, in the wake of large-scale protests over the company’s handling of such incidents in the past. The change was announced in an email to employees from CEO Sundar Pichai, which was then published on Google’s website. The new policies are designed to “provide more transparency” in the investigation process, Pichai wrote. Almost 20,000 Google employees participated in a staged walkout earlier this month after details of the company’s past sexual misconduct issues came to light. The New York Times reported in an explosive story that Google had provided a top executive accused of sexual misconduct with a $90 million exit package when he left the company, and then Pichai revealed in a memo that 48 employees had been fired in the past two years for sexual harassment. We’re revamping the way we handle and look into your concerns in three ways: We’re overhauling our reporting channels by bringing them together on one dedicated site and including live support. We will enhance the processes we use to handle concerns-including the ability for Googlers to be accompanied by a support person. And we will offer extra care and resources for Googlers during and after the process. This includes extended counseling and career support.